An unlikely lobbying group is pressing the U.S. Senate to curb greenhouse gas emissions: American hunting and fishing groups, mostly Republicans, representing tens of millions of votes in the U.S. heartland that could help swing crucial votes as the Senate tries to pass legislation to cut carbon output. “If you go out and hunt at the same time in the same season and the same place every year, then you understand the changes that are happening,” said Jeremy Symons, senior vice president for conservation at the National Wildlife Federation. 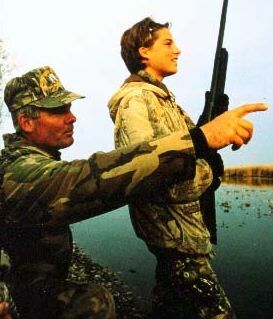 Make no mistake, all good hunters are environmentalists at heart. Hunting can give you an insight into the natural cycle of life an death that most people don’t appreciate.